Sophomore Rose Crowe and senior Katie Donnellan both qualified for State at Sectionals Oct. 29. 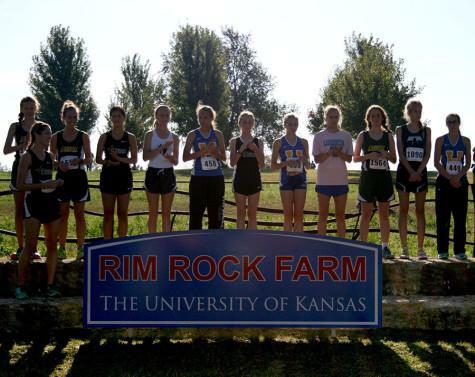 Cross country runners Rose Crowe, Katie Donnellan and Addie Coppinger competed Saturday morning at the Sectional meet. 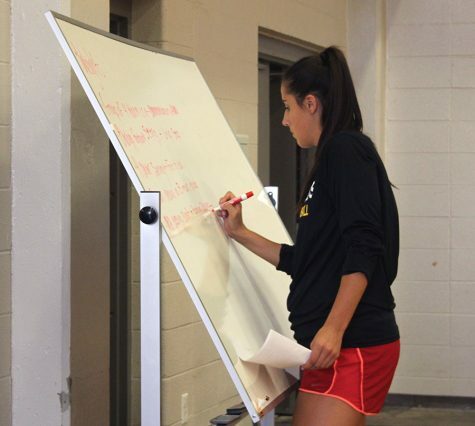 But for senior Emma Kate Callahan, there was a major detour on the road to Sectionals. Callahan crossed the finish line at the District race and was handed a place card with the number 30 on it. 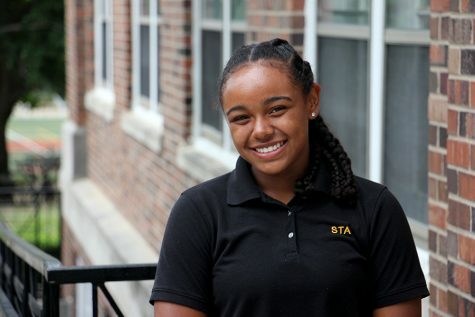 The top 30 runners were set to advance to Sectionals, so she was the final qualifier. 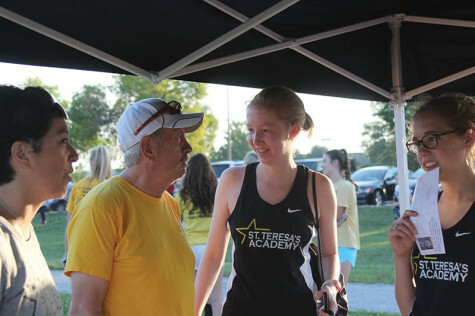 At the awards ceremony, Callahan waited for her name to be called as the 30th place finisher only to hear, Kenzie Miller, the name of a St. Joe Central runner called instead. Callahan was announced as the 31st finisher and did not qualify for Sectionals. 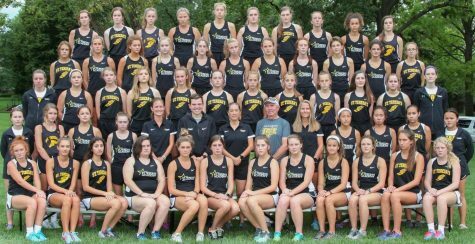 “Emma Kate Callahan, her coaches and teammates were left stunned that this had not been communicated to them before the ceremony,” wrote cross country coach Karen Redlich. According to Redlich, it was originally ruled that Miller was disqualified because during the race she fell down and was helped to her feet by a relative. The handbook of the National Federation of State High School Associations states that providing aid or assistance to a runner is illegal. “She crossed the line right before me, so she technically got 30th but she should have been disqualified,” Callahan said. 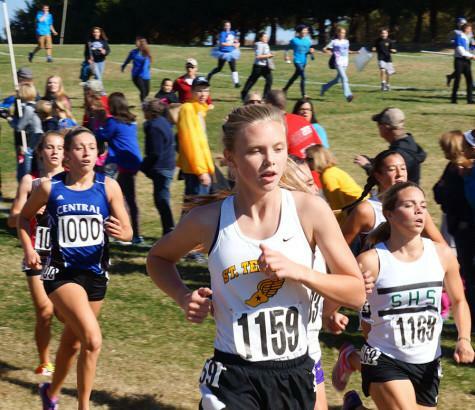 “The games committee met, consulted MSHSAA but nothing was done and the ruling stands that Emma Kate finished in 31st place, one place away from qualifying for Sectionals,” wrote Redlich. 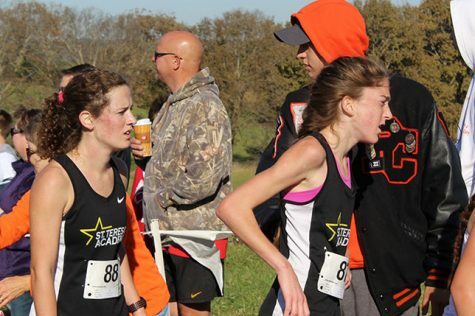 Sophomore Rose Crowe who earned a 23rd place finish Districts was not happy with the ruling. Crowe finished 21st in sectionals with a 3 mile time of 20:06, qualifying her for state. 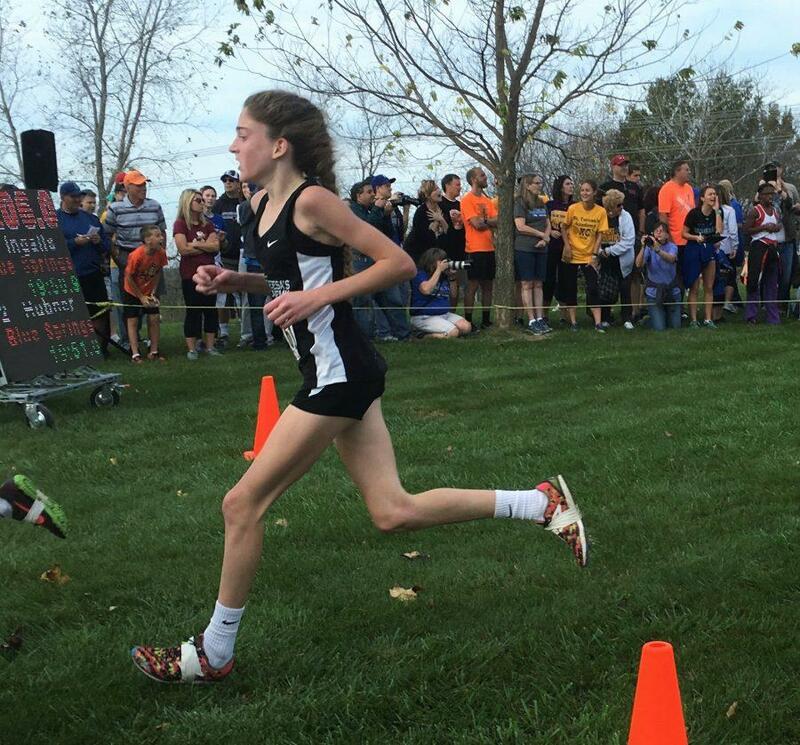 She was followed by senior Katie Donnellan who qualified for state with a time of 20:29 and a 30th place finish. Both Crowe and Donnellan earned personal best times. Sophomore Addie Coppinger finished in 66th place with a time of 22:49. 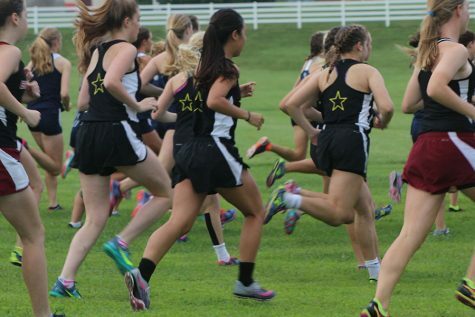 Freshman Delaney Hupke, sophomore Maddie Douglas and Callahan ran in the alternates race. 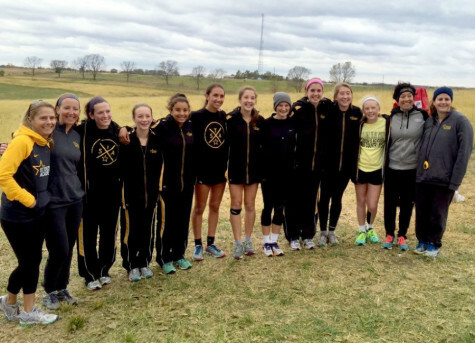 The alternates race does not qualify runners for State. It is a race against the clock in which runners try for a personal best time. Although Callahan didn’t get to run in the State qualifying race, she finished first of the girls in the alternate race.